Q. 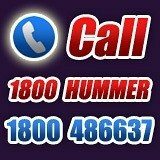 How do I book the Hummer? Q. What deposit do I need to pay per person to confirm my booking? A. You can secure a booking with a €200 deposit, and the balance is due 21 days before the booking. We can take payments over the phone or via paypal. A. We are the original humvee rental company in Dublin, have been operating for 14 years, visit better venues, use fantastic restaurants, do not charge for payments by credit card, our staff our professional and courteous and we are the company that our competitors would like to be. Q. I have found a cheaper quote, will you match it? Q. What four nightspots do you visit? A. We use over 20 different nightspots in the city, so every night is totally different. 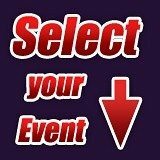 The actual venues are set the Monday before the tour, so if you wish to know which clubs you are visiting once you have booked, then you can call up the Monday before and we will be able to tell you. A. We require all of our clients to dress smartly for all our tours, therefore we do not allow any trainers or sports shirts. For our Boogie Night and School Disco, fancy dress is compulsory. If you are planning to wear bunny ears / cowboy hats / horns or anything of this nature please be aware that some venues object to these items and therefore you may be asked to leave them on the Hummer whilst visiting these venues. A. We do take clients 18-21 but the majority of our clients are 21+. ID in the form of driving license or passport is recommended by us in case of refusal of admission by venues. Copies are not acceptable. Q. Can I add to my booking and what happens if someone drops out? A. Yes you can always add to you booking, but please do not leave it until the last minute, as all our bookings are subject to availability. If a person drops out before they have paid the final balance, then they will lose their deposit, otherwise if they drop out within 21 days of the tour then they will forfeit the total amount. You can however get someone else to take their place if you can. Q. Do you cater for stag parties? A. Yes we do. However we do restrict the number in an all male party to 20 and due to the popularity of our tours with stag parties it is always advisable to book well in advance. A. Yes we can tailor make a tour to your specific needs, subject to availability. The tours on this website are just the tip of the iceberg to some of the events and tours that we have organised in the past and these are the most popular tours. Q. What is on the Hummer? A. The Hummer is equipped with a commercial sound system and is decorated throughout with balloons and streamers. We do not allow any smoking on board the Hummer as we are very safety conscious. However we can guarantee that The Hummer will be the most memorable thing of your evening. Q. What time do the tours start and finish? A. Our tours that include a meal normally start at 6pm and tour without a meal begin at 7pm. Please check before booking as these times vary on the location. We arrive at the last venue at around 12.30am, the last venue usually in the centre of town. Here you are free to stay as long as you want and make your own way home.